When you choose to donate to the Snowshoe Foundation, your contribution is used to directly improve the quality of life for residents in many local, small-town communities throughout Central West Virginia. We work to help build stronger and better communities in Webster, Pocahontas, and Randolph Counties, as well as the surrounding areas. 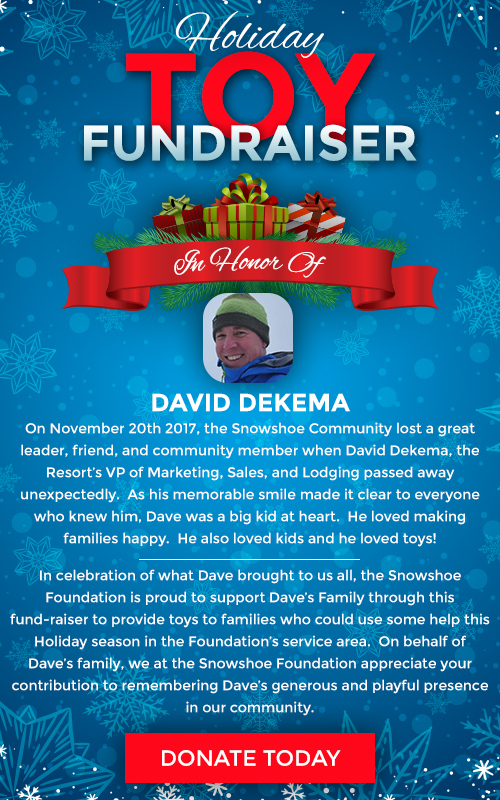 The Snowshoe Foundation is dedicated to providing grants and scholarships, as well as supporting a wide range of local community organizations whose efforts significantly enhance the lives of area residents. We could not do it without you. In addition to making a direct donation, consider participating on one of our five exciting fundraising benefits held throughout the year. In conjunction with our efforts to be a great neighbor to residents throughout local communities, we are grateful to be able to provide assistance where it is most needed, thanks to your assistance. Through good times and bad, the Snowshoe Foundation is proud to be a consistently reliable partner to help improve health and hope with concrete actions. 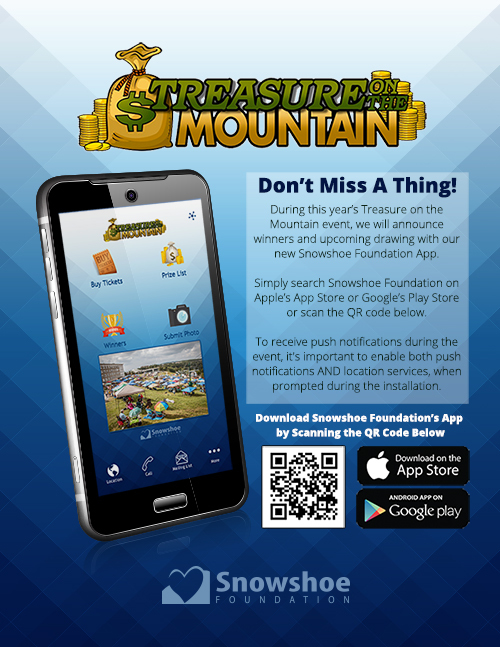 The Snowshoe Foundation’s events are not just an opportunity to give back, they are amongst the best social experiences that can be had in Central West Virginia! Our Board of Directors and volunteers give their all to ensure that we deliver on our promise to provide the best and most fun-filled experiences of a lifetime. Many of our individual and business participants have developed lifelong friendships and make our benefit events an annual pilgrimage. Click the links above to purchase tickets or for more information.